When you’re affected by cancer, having the right kind of support and information, at the right time, is essential. The Macmillan Delamere Unit at Halton General Hospital reopened in 2013 with a fantastic new look following a £1 million redesign and refurbishment. The refurbishment has seen the centre completely redesigned. 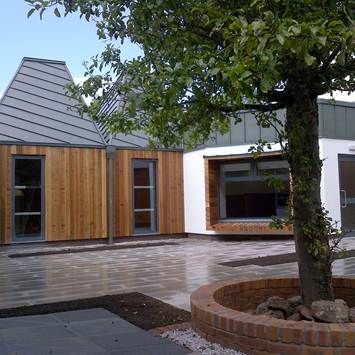 There are new therapy rooms, a garden area and completely new look information centre. The aim is to create a relaxed atmosphere for people using the service. The service provides the opportunity to discuss treatments, side effects and other cancer related issues with access to a private room where you can talk to someone in confidence about your concerns. Information and support over the phone for those not able to access the service in person. The Macmillan Delamere Support and Information Service is run by experienced Macmillan professionals and a team of specially trained volunteers. The service they provide is free of charge to you. You can download a wide range of leaflets directly from the Macmillan web site. They provide high quality, up-to-date cancer information for cancer patients, their families and carers. All of their information is written and reviewed by specialists. You can drop in to the centre which is located next to the main entrance at Halton General Hospital. You can also call us to make an enquiry.